The previous analyses of this Heritage Overlay Area have all noted its diversity but this `diversity' is formed within the following distinct sub-areas that are defined by the street pattern and building stock. The area is set out on an irregular plan, as an accumulation of small private subdivisions, diverse lot sizes, and small cottage development. 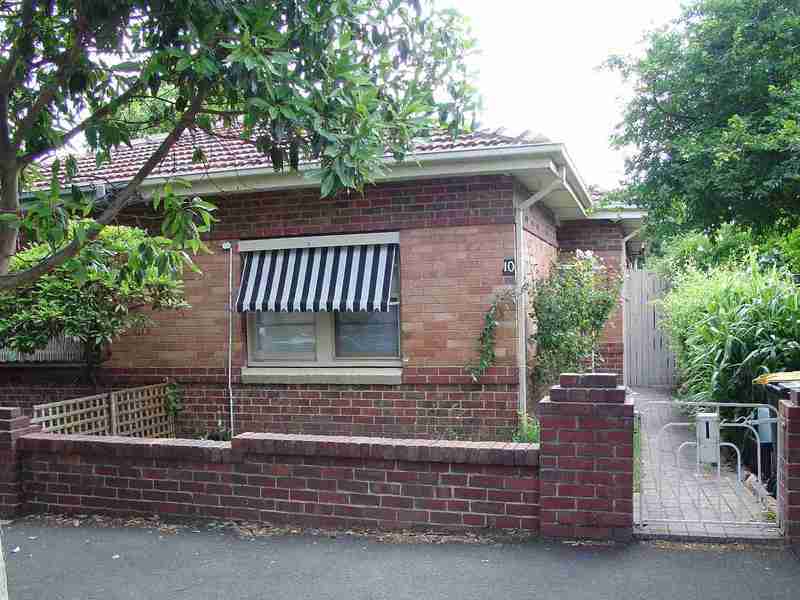 The Richmond Hill West Sub-area is generally bordered on the south by Tanner St, on the west by Punt Rd, on the north by the back of properties facing Bridge Rd, and on the east by Lennox St, the backs of properties facing Lennox St and Wangaratta Street. This is an area of large villas on large irregularly planned allotments, sited on the side of Richmond Hill, and adjoining significant religious complexes facing Church St (see HO315 Church Street Heritage Overlay Area, Richmond). It is generally bounded on the south by the Richmond Terrace service lane; on the west by Lennox St and the rear of properties facing Lennox St; on the north by the rear of properties facing Bridge Rd and on the east by the rear of properties facing Church St.
Set within the Richmond Hill Heritage Overlay Area North Sub-area, the sub area includes the inter-war residential Fordham Court and associated part of the Goodwood St area, and the contemporary Pelaco industrial complex opposite, as once part of the Pelaco land holding. The residential parts of this sub-area have a homogenous residential character and subdivision pattern. This sub-area is demarcated by the Reverend Docker's `Clifton Village' standard grid plan, with large and small intermediate service streets. It originally had small regularly sized urban allotments and small early Victorian-era cottage development. The sub-area is generally bordered by Wangaratta St on the west, Montgomery St and the Richmond Terrace service lane on the north, and the rear of properties facing Church St on the east and Swan Street on the south. This sub-area is generally demarcated by the large irregular allotments and early 20th century industrial development at the south west corner of the Richmond Hill Heritage Overlay Area. It is bordered by the railway on the south, the Stewart St service lane on the west, Tanner St on the north and Wangaratta St on the east. Melbourne's first butcher) (96). From 1840 onwards, Dr. McCrae sold parts of his allotment (at the north west corner of the heritage overlay) to prominent Melbourne figures, including Alexander McCrae , Alfred Woolley, Charles Williams, George Arden, and Thomas Strode (proprietors of the Port Phillip Gazette). (97) He also subdivided off 36 half acre blocks, creating Rowena Parade, Sherwood and Rotherwood Streets. Further subdivisions took place in the 1870s and 1880s. Yaldwyn sold his allotment (at the north-east corner of the heritage overlay) to William Meek in 1840 and, by 1853, the Waltham Street and Darlington Parade areas were subdivided, and further subdivided in the 1880s. The Vaucluse area was laid out in the 1860s and a private street was created to link Rowena Parade and Church Street, for the use of abutting landholders only. The Vaucluse, thought to be the only Victorian-era private street in the inner suburbs, has its eastern entry at St Ignatius Church. Large houses were erected on this section, including Richmond Hill for James Henty (Waltham Street, 1851) and a two-storey Italianate house for distinguished architect, James Blackburn Jr.
Docker had subdivided his two allotments by 1853 (at the south-east corner of the heritage overlay), creating a model village (Village of Clifton) set out as 365 lots on a grid plan designed by Charles Laing. Its regular layout was unlike the other haphazardly planned private subdivisions in the area. The village was bordered by Wangaratta St (inclusive) on the west, the Richmond Terrace service lane on the north, the Church St on the east and Swan Street on the south (98). By 1857 Docker still owned many of the houses built on these allotments. His own townhouse was at 370 Church Street. By the 1880s, this area was almost fully developed. (See South Residential Sub-precinct) Brock's allotment (at the north-centre of the heritage overlay) was purchased by overlander John Gardiner (99) who erected a villa on it when he retired from his grazing activities to take up the position of managing director of the Port Phillip Bank in 1840. (100) By 1853, Lennox Street, Rowena Parade and Goodwood Street had been laid out. Further subdivisions occurred in the 1870s and 1880s. The allotment purchased by McNall (at the south-west corner of the heritage overlay) had undergone minor subdivision by 1853. McNall erected his house there, and his widow continued to live there following his death in the 1850s. (101) In 1859, the railway was established, and Richmond Station was constructed at the south-west corner of the allotment. The land had undergone major subdivision by the 1870s and 1880s. In the early 20th century the expansion of manufacturing across the nation was reflected in new industrial centres that were developed close to rail and road transport, as distinct from the Victorian-era industrial development that had occupied coastal sites or river and creek banks. Near to the transport hub of Richmond Railway Station and busy Punt Road, grew a distinctive group of factories and warehouses, mainly associated with the growth of the clothing manufacturing industry in the City and dating substantially from the early decades of the 20th century. This area had previously been residential (102). The Australian Knitting Mills Ltd. (41-43 Stewart St, knitted goods manufacturers) complex was at the centre of the Stewart-Tanner Streets industrial area development area. It was developed from 1912 when the supply for World War One uniforms was an impetus for its expansion and had another major building addition in 1922-5 (103). The company created the `Golden Fleece' and `Kookaburra' brands. Set away from this concentrated industrial strip, but related historically to it, was the Pelaco factory (1922-1928), located on a hill on the former site of a Victorian-era mansion. Houses in Fordham Court and the associated part of Goodwood Street were built speculatively in 1939 for Mrs B.E. Fordham of Yarradale Rd., Toorak, on land sold by Pelaco (104). These houses provide a distinctive enclave within the surrounding Victorian and Edwardian-era development. The main development period evident in the Richmond Hill west sub-area of the Heritage Overlay Area is that of the Victorian era with a substantial contribution from the Edwardian-period. There is also a contribution from some well preserved inter-war buildings and individually significant places of all eras.
. Small front gardens, originally bordered by typically timber picket front fences of around 1m height.
. Corner shops and residences with display windows and zero boundary setbacks.
. Well preserved buildings including typically one storey buildings from the pre Second War era.
. Public infrastructure, expressive of the Victorian and Edwardian-eras such as bluestone pitched road paving, crossings, stone kerbs, channels, and asphalt paved footpaths. The main development period of the Richmond Hill north sub-area of the Heritage Overlay Area is that of the Victorian-era with a substantial contribution from the Edwardian-period. There is also a contribution from some well preserved inter-war buildings and individually significant places of all eras.
. Front gardens, originally bordered by typically timber or iron picket front fences of around 1m height. The main development period of the Richmond Hill Fordham Court/Goodwood Street sub-area of the Heritage Overlay Area is that of the Inter-war era.
. Fenced originally with front fences of low (500-700mm panel height) brick and rendered masonry pier and panel walls.
. Public infrastructure, part expressive of the Victorian and Edwardian-eras such as asphalt paved footpaths but most of the kerb and channel is concrete, as typical of the inter-war period.
. Former Pelaco factory (c1922) as an icon in the area, but unrelated in scale and form to the inter-war housing nearby. The main development period evident in south sub-area of the Richmond Hill Heritage Overlay Area is that of the Victorian-era. There is also a contribution from the Edwardian-era and some well preserved inter-war buildings and individually significant places of all eras.
. Front gardens, sometimes minimal, originally bordered by typically timber picket front fences of around 1m height.
. Well preserved buildings, including typically one storey buildings from the pre Second War era. Main development period in the Richmond Hill south industrial sub-area of the Heritage Overlay Area is of the Edwardian-era and inter-war period.
. Walls of face red brick (some over-painted) with rendered bands.
. Public infrastructure, part expressive of the Victorian and Edwardian-eras such as some bluestone pitching and asphalt paved footpaths.
. For the views, from both inside and outside the area, to The Vaucluse Convent, the church spires and towers of St Ignatius and the utilitarian four storey red brick Pelaco factory, with its early neon sign above.
. For the contribution of the iconic Pelaco factory complex and illuminated sign, that is well-preserved externally, large in scale and set prominently on the hill as, historically, a symbol of Richmond's special role in the development of key manufacturing centres in the first half of the 20th century.
. As an illustration of a rare type of model private subdivision and development in the Melbourne area in the form of a planned `village', as shown by the regular street patterns, similar allotment sizes, and the originally residential land use.
. As a distinctive and visually related group of externally well-preserved factories and warehouses, associated with the growth of the clothing manufacturing industry in the City, dating from the early decades of the 20th century and symbolic of Richmond's special role in the development of key manufacturing centres in the first half of the 20th century.
. For the precinct's strategic location, next to major transport links (railway, Punt Road) and the resultant distinctive angled siting of key buildings to face the railway. 96 McMillan, 1993: 7, 11 (see Allom Lovell 1998 and Wight 2001: history deals with original Richmond Hill heritage overlay - since redefined. 100 Port Phillip Patriot. 11 June 184? 101 White.op cit. p 10. 103 see research on Australian Knitting Mills Ltd. in Wight, 2002. Height and Setback Policies for Heritage Precincts: 13.